Rose Quartz Angel 2 Inch with Chakra Point , Crystals Angel For Sale.Gemstone Export Supplier and wholesaler of all kinds of healing stones angel. 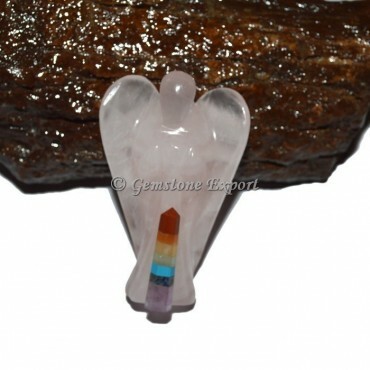 Gemstone angel and crystals angel. For customs size contact us.